Pouch: how much can you save with this voucher code plug-in? Pouch, a new voucher code tool, promises to save you loads of money when shopping online. We find out if it's worth downloading. Trawling through voucher code websites can be a hassle when you’re looking to save some cash. It’s even more frustrating when the voucher code doesn’t work or has expired. Pouch, which has been backed by investors on Dragons Den, says that it can save you around 10% on everything you buy online. But rather than take it at face value, we decided to give it a bash. Pouch is a service which automatically shows you voucher codes when you visit a retailer’s website, meaning that you don’t have to go and hunt them down yourself. It’s a web browser plug-in – available for Chrome and Firefox – that shows you voucher codes available as you shop online. The Pouch icon will appear in the top right-hand corner of your browser alongside any other plug-ins that you have. Once you click onto a store with a voucher code, a small pop-up notification will appear at the top corner of the screen, as you can see below. Just click on the deal you want to use and the voucher will be copied to your clipboard. Pop it into the discount code box at the checkout and it applies your discount automatically. To sign up you’ll need to provide your name and email address but the people behind Pouch say that personal information won’t be sold on. The people at Pouch say that you can save with over 3,000 retailers including The Body Shop, Argos, Topshop and Ocado. What you see will depend on what voucher codes are available when you shop. We tried out a handful of websites with the plug-in to see what we could potentially save. The available deals are listed in italics and the ones that we used are underlined. We went for the second option because it was difficult to pinpoint what items are available in the first offer. To find out, we’d have to put individual items in the basket and apply the code to each item. It’s probably easier finding the Ts and Cs on a voucher code websites in this case. The second deal worked fine though, saving a tenner on eyeshadow and mango shower goodies – result! Again, a tricky one. In a surprisingly customer-friendly move, Dominos provides you with a deal comparison at the checkout which will give you the cheapest option. We would have spent more using the voucher code. We tried to book a session at ArcelorMittal Orbit slide in London’s Olympic Park for one adult and one child and it didn’t work, leaving it at £27. Disney Party range now live – from 99p! FREE personalised invitation – now at Disney Party! It’s difficult to say – they’re deals as opposed to money off. All of the copied codes came up as N/A so there haven’t been any savings on our Toy Story napkins. Dead excited about a free phone call from Mickey Mouse though. We saved a respectable £1.19 on an enormous 1kg tub of peanut butter. That said, the voucher code ‘Mystery’ is listed alongside the products so it didn't really need the plug-in. The difficulty with trying Pouch at supermarkets is that you need to sign up and order a full shop before you can use the code. Nevertheless, we saved £8.02 on our basket and got free delivery, but apparently we could’ve saved more. Pouch is very easy to use and download which is handy for time-pressed shoppers. It’s also clear where there are discounts available, what the deals are and when they expire – all of the essentials. Plenty of deals were on offer at big brands too, rather than more niche retailers. Even though Pouch includes the important details, it doesn’t elaborate on terms and conditions which is confusing for some of the offers. Like we mentioned in the first Body Shop deal, you’d need to put different items into the checkout individually to see if they’re eligible. Some of the notifications carry over from previous searches which is also confusing. For instance, we thought that Vue had six available voucher codes but it was a notification carried over from a Waitrose search. If you’re a regular online shopper, Pouch could prove to be a handy tool. It has noticeable pop-up notifications which aren’t too intrusive. It could save you loads of time too. A lot of it comes down to what you spend on and what voucher codes are floating around at the time. Pouch has technical glitches to straighten out, but it’s still in its teething phase so that can be forgiven. All in all, it’s a useful plug-in that has a lot of potential to change the way that people shop. 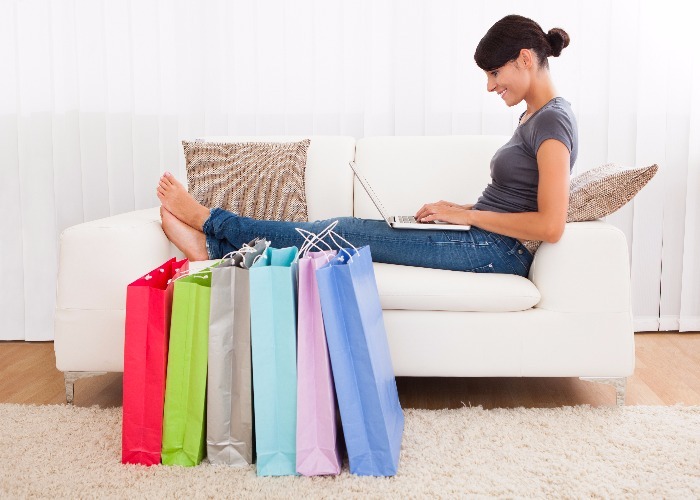 For more ways to save check out: Online shopping tricks that could save you hundreds.